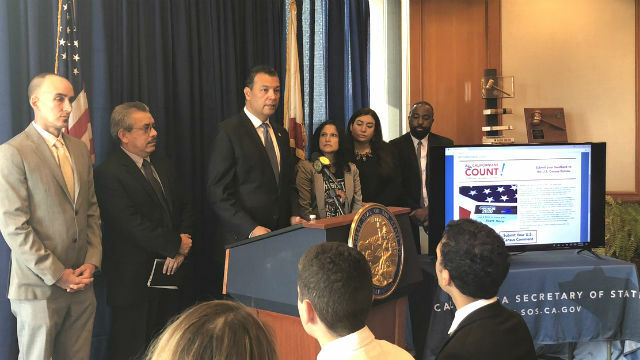 Secretary of State Alex Padilla called on Californians to speak out against the inclusion of a citizenship questions on the 2020 U.S. Census. Padilla and others in California government are concerned that inclusion of the question will discourage undocumented immigrants from being counted. That would result in a smaller official population, with a potential loss in House seats and federal grants. The census, required every decade by the Constitution, tries to count every resident of the United States — even slaves prior to the Civil War. Padilla unveiled a website with information about the census and a link for Californians to submit public comments by Aug. 7.